If you’re providing senior care in Memphis to a loved one, you’re not alone. More than 65 million Americans provide elder care and hospice care to a family member. With an aging population, caregiver stress and burnout are likely to become increasingly prevalent. Caregiver stress is a multifaceted problem that typically involves both emotional and physical symptoms. Caregivers might notice that they often catch colds, feel fatigued, gain or lose weight, and experience sleep disturbances. You can learn more about the psychological indicators of caregiver stress by watching this video. This expert also offers some advice for developing home care solutions that can help reduce family caregiver stress, such as reaching out to an elder care agency to arrange respite care or to have a regular caregiver for your loved one. 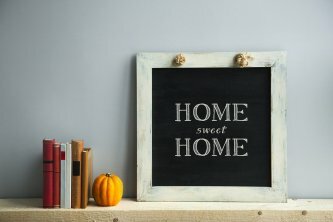 Toward the end of life, individuals often prefer to spend their days at home, surrounded by their loved ones, rather than in an institutional setting. Fortunately, with the proper planning, this is entirely possible. Caring Companions provides hospice care through our senior helpers in Memphis. Our caregivers are empathetic, spiritual individuals who are dedicated to guiding families through this difficult time. Our end of life care services can complement your loved one’s care plan through a hospice program or medical provider. Some of the care services we provide to individuals toward the end of life include food preparation, light housekeeping, including laundry, bathing, dressing, mobility assistance and medicine reminders. Individuals with a terminal illness often cannot perform self-care for themselves and it can be difficult for family members to assist with these tasks. Our compassionate caregivers can help your loved one with incontinence care, toileting, bathing, and dressing to help him or her maintain dignity. Alzheimer’s disease takes a toll on the entire family. Family members with a loved one who has been diagnosed with Alzheimer’s suddenly face critical long-term care decisions and challenges arranging for the care their loved one needs. As the disease progresses, individuals require a greater level of care. Although families may choose to delay hiring a home health aide until the impairment is evident, it’s always best to visit an agency for senior care in Memphis as soon as possible to make decisions regarding home care solutions. Clinical evidence suggests that the changes to the brain associated with Alzheimer’s begin well before symptoms are apparent. When symptoms do begin to arise, the individual will typically experience minor lapses in memory. It may still be quite some time before a diagnosis of Alzheimer’s can be made. Gradually, others will begin to notice changes in their loved one, such as difficulty with daily activities, word retrieval and name recall, problems performing routine tasks, and difficulty with planning and organizing. As the effects of the disease grow more severe, families often turn to an agency that provides dementia care. With moderate cognitive decline, individuals often become forgetful of recent events, they may become socially withdrawn, and they may exhibit changes in personality, such as becoming increasingly moody. Additionally, individuals typically have more trouble with complex tasks, such as handling their finances, and they may find mental arithmetic challenging. 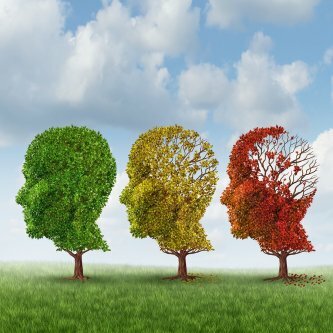 During the later stages of Alzheimer’s disease , memory loss increases and cognitive function declines significantly. Individuals may be unable to remember their own phone number, for example, and they may often become confused about time and place. Gradually, they may become unaware of their surroundings and recent events. During these stages, individuals need a great deal of help with daily activities, such as bathing, dressing, and toileting. Wandering behaviors, compulsive behaviors, and significant personality changes are not uncommon. Eventually, individuals can no longer respond to their environment, control their own movements, or carry on a conversation. Alzheimer’s is a fatal disease with no cure; however, a home care provider can help individuals with this disease maintain their dignity. Hospice programs provide compassionate end-of-life care to individuals who have a life expectancy of six months or less. Individuals receiving this type of home health care in Memphis can receive a variety of palliative services, which are intended to improve comfort and quality of life. Despite the prevalence of hospice programs throughout the country, many people have misconceptions about them. To learn the truth behind some common misconceptions, watch this interview with a hospice professional. He explains the philosophy of care and where care services are typically provided. He discusses some of the individuals who may benefit from hospice care and the types of professionals who work with hospice patients. When Is Hospice the Right Choice? © Professional In-Home Care in Memphis. Caring Companions LLC. 2018, All Rights Reserved.